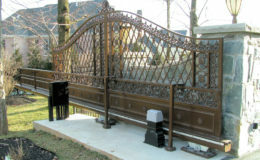 This highly ornamental steel gate spans an opening of over 25ft. 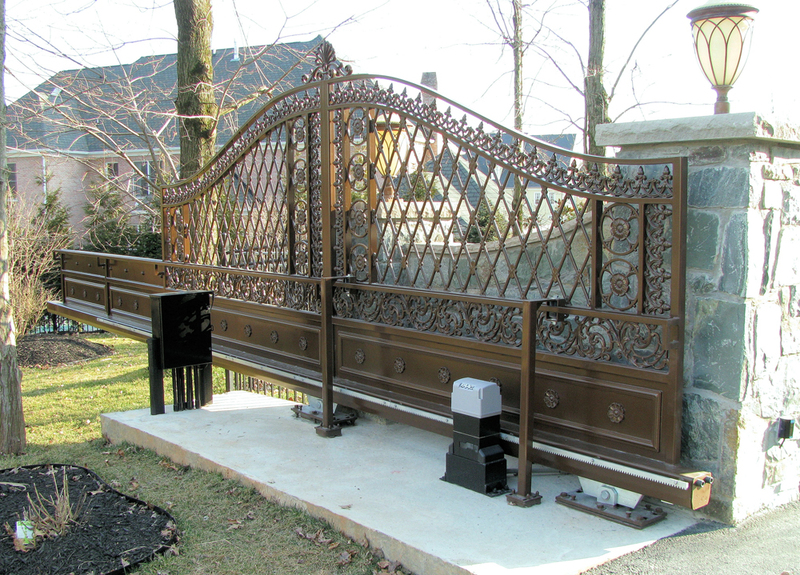 With the DuraGates hardware you don’t need any weight on the counterbalance as the carriages take the entire load. 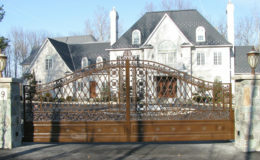 Hence, the fabricator was able to build a short tail to the gate so that it is not visible from the front of the property. 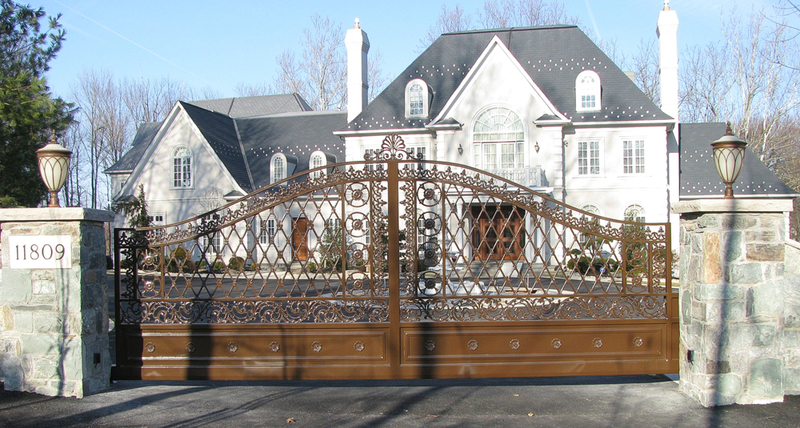 Look at how the guide channel across the middle of the gate allows the gate to have an arched top.